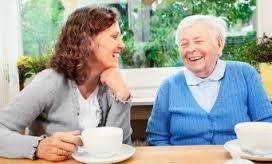 One of the most frustrating things about running a home care agency is having a high caregiver turnover rate. Not only does this mean spending more time looking for qualified caregivers, but this may also mean a potential loss in business for not having enough caregivers to service your clients. A practical solution to this would be to give pay raises, bonuses, and a comprehensive benefits package to your caregivers. However, this may not be the most cost effective solution for you. Nonetheless, there may be different ways in which a home care software or home care system like ClearCare can help you maintain a consistent caregiver retention rate without hiking up your business expenses. Track performance of quality caregivers: Another way in which a home care software system can help with caregiver retention is by allowing you to easily track the performance of your caregivers. For example, ClearCare’s home care software has in place a caregiver ratings system that allows you to quickly see all caregivers based on performance level. This caregiver ratings system can be used as the foundation to recognize and reward caregivers for providing quality services to your clients. Ultimately, tracking and recognizing their performance will make your caregivers feel appreciated for their work and help reduce caregiver turnover. Make your caregivers feel empowered: With a home care system or home care software, your caregivers will always have access to their schedules. Whether it is posted online on their web-portal or sent over to them in a text message, your caregivers will always know when and where they need to be. Of course, for you, this is great! Because it means not having to constantly remind caregivers about their shifts. However, for your caregivers, this is an additional bonus for them because it empowers them to stay on-top of their work schedules without having to call your office for reminders. This feeling of empowerment is something that not a lot of home care software systems can offer. Nonetheless, it is a feeling that your caregivers will definitely appreciate and won’t find elsewhere from another agency.